After having the pleasure of visiting their headquarters in Nanjing and trying the food, I can understand why the chain is popular. 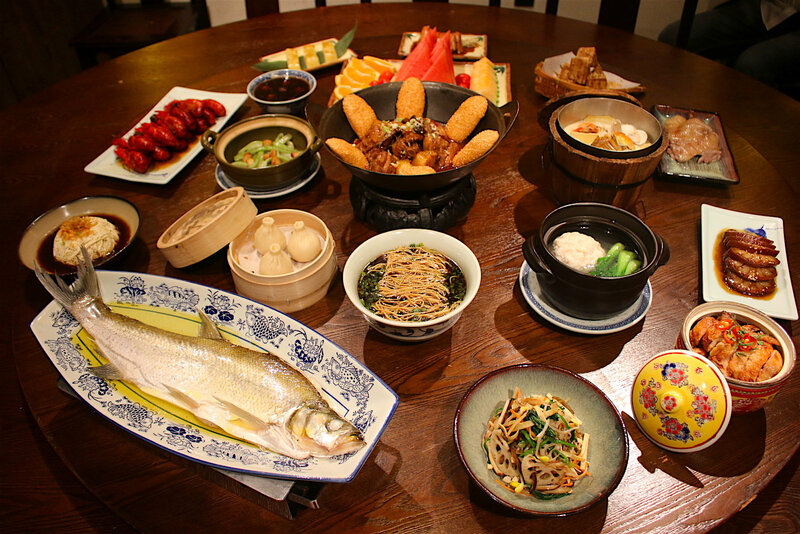 It's a vast menu of Nanjing's favourite street food, classic dishes and dim sum, carefully curated to present the charm and heritage of food from Nanjing, the capital of Jiangsu province. 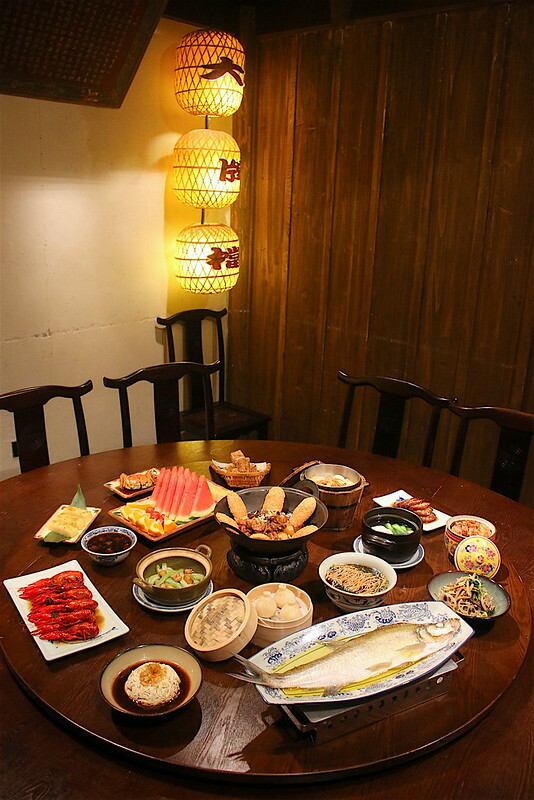 Their theme - 留住老味道 - means retaining the charm, culture, memories and flavours of old Nanjing. 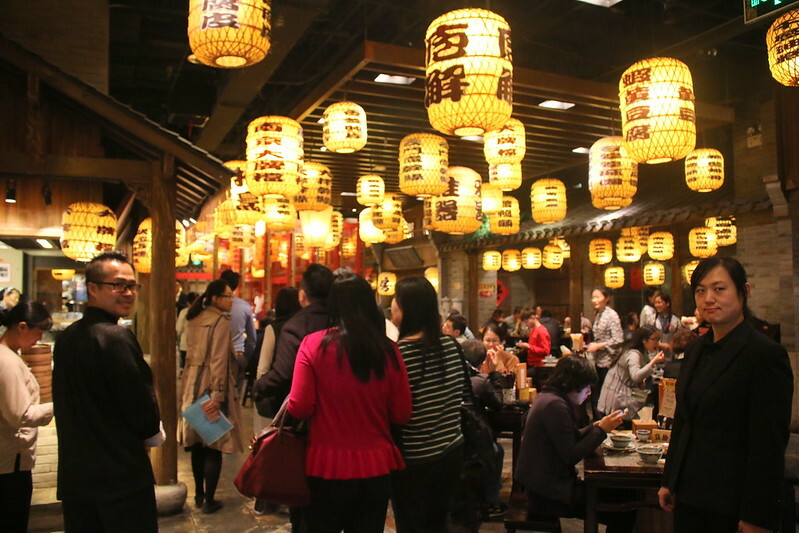 In 2013, Nanjing Dapaidang won the Golden Tripod award for "Top Ten Brands of Chain Restaurants in China" given out by the Chinese Restaurant Association. The place doesn't just serve authentic Jiangsu cuisine but is also wonderfully atmospheric. There are "Welcoming Old Waiters" or elderly greeters dressed in Qing Dynasty costumes at the front of the restaurant, loudly welcoming guests into the beautifully renovated premises depicting old Ming and Qing Dynasty courtyard houses and market stalls. The bustling scene harkens back to the days of old when the historic city of Nanjing enjoyed prosperity at its height. The wait staff are dressed in traditional folk and village clothing as "neighbourhood boys and girls" running about. There's so much life and character imbued in the atmosphere. 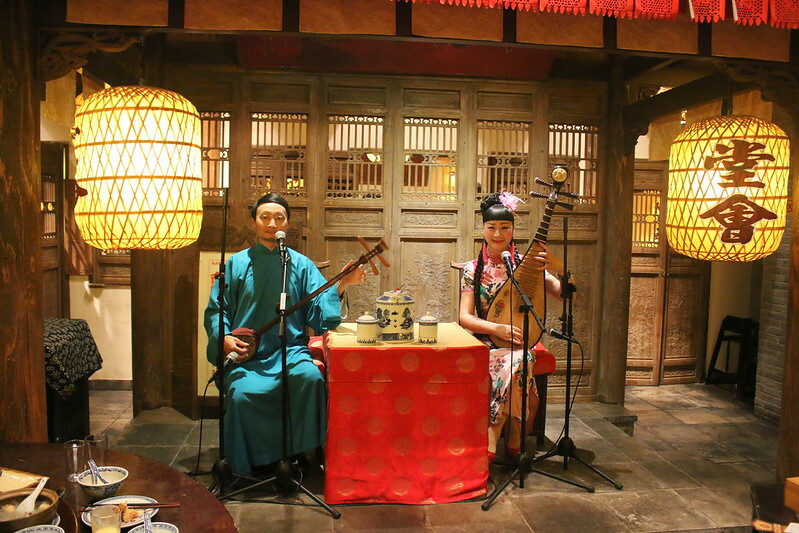 I hear they may replicate in Singapore too the singing "Pingtan" performance to complete the dining experience, in the fashion of the extravagant restaurants along the Qinhuai River in the Ming Dynasty. 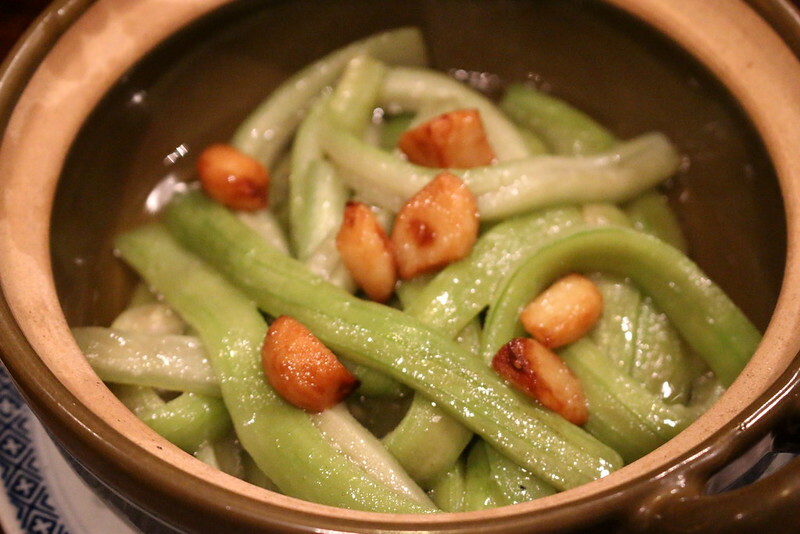 This is a dish created exclusively by Nanjing Impressions. 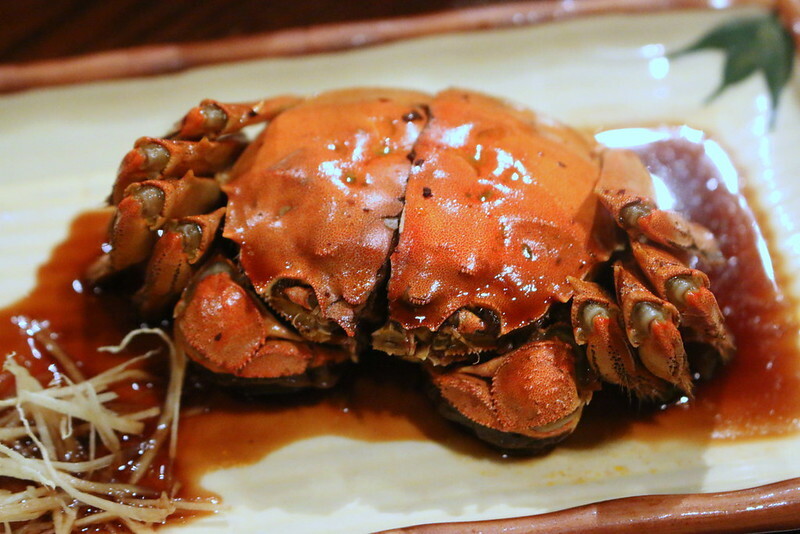 Selected fresh crabs are first steamed and then returned to the wok to be simmered with fresh ginger and aged brown sugar. The "heat" of the ginger and the high nutritive aspects of brown sugar help to offset the natural "coolness" of the crab. This is an interesting take on crab indeed, almost like savoury crab candy. 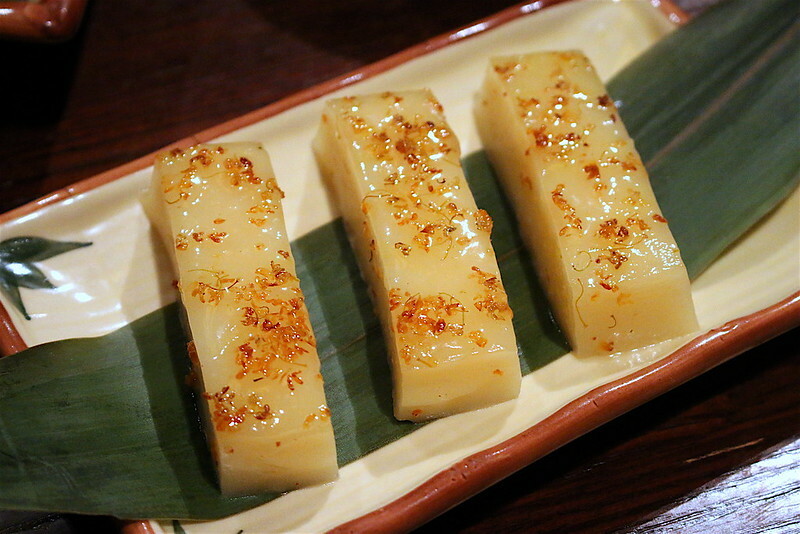 Nanjing cuisine leans towards the sweet side, as you'll soon see. 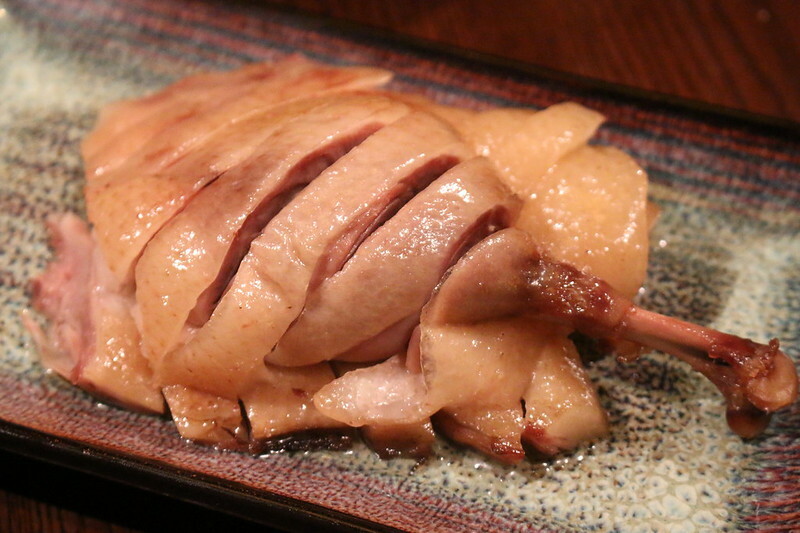 Nanjing's famous 咸水鸭 salt-water duck has a deceptively simple name, but it is a 400-year old recipe that involves a complicated procedure of more than 10 steps including dry rubbing, seasoning, brining and hang-drying. The resulting bird is tender with layered depths of flavour that should please duck aficionados. This dish is to Nanjing what chicken rice is to Singapore. You have to try it at least once. An exclusive House Special. 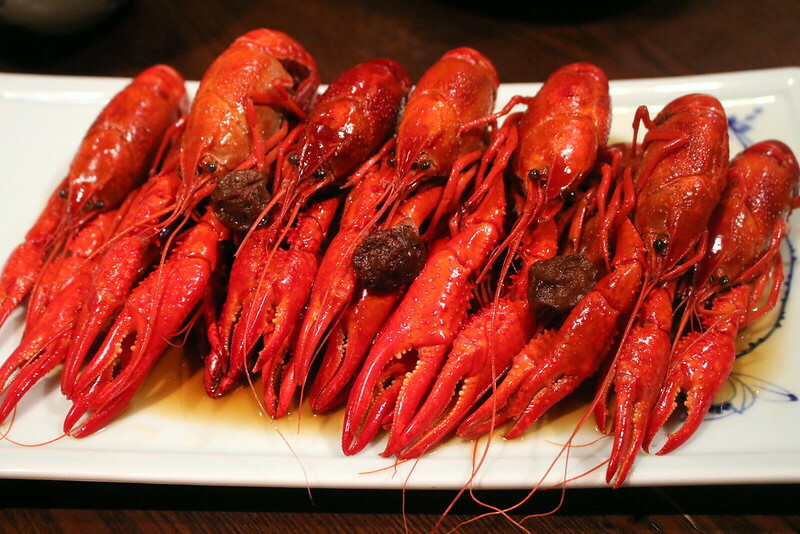 Dedicated farmed crayfish or "baby lobster" are marinated overnight in a 15-year vintage huadiao wine known as Nu'er Hong or Virgin Red. 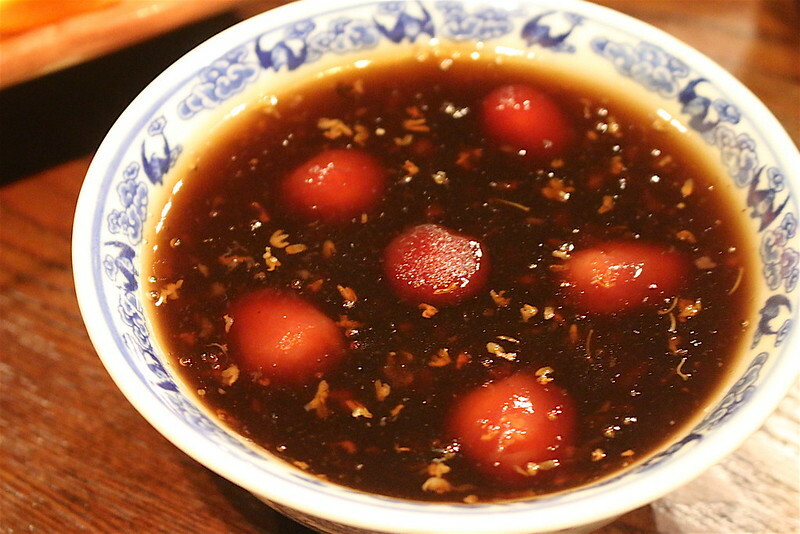 The marinade also includes sour plums and aged citrus peel, reflecting Jiangnan origins. These babies are sweetly drunken with the faint aroma of plums. This must be a laborious dish to make, especially stuffing the cavities of the lotus root carefully with pearls of glutinous rice. The combination is slow-cooked in a pear-honey syrup. They do look pretty. I found this too sweet and strangely jarring at first, but then it all made sense when I remembered the ham chim peng with glutinous rice (photo below, from nasilemaklover.com). 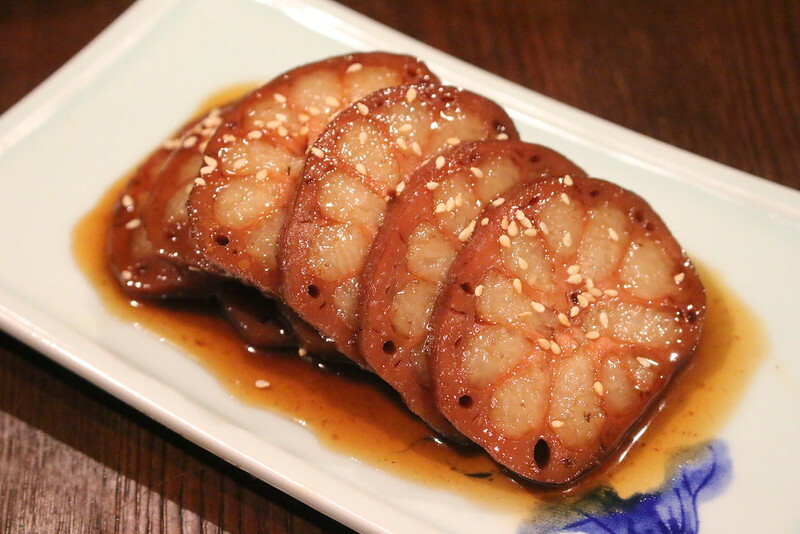 Nanjing Impressions' stuffed lotus root has been recognized with a Chinese Heritage Traditional Snacks award. This is a must-have cold dish during Chinese New Year for every Nanjinger. 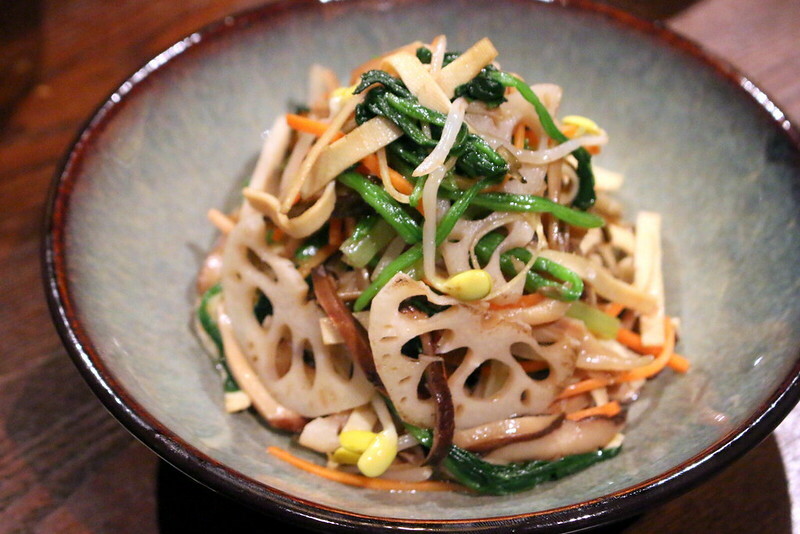 It's refreshingly crunchy with assorted shredded vegetables (lotus root, spinach, mushrooms, carrots, bean sprouts, etc) and should be a crowd pleaser. We all thought these were noodles at first glance. But look closer and you'll see it's actually tofu. I'm just impressed at how they managed to slice the soft and smooth beancurd so well. It's simply dressed with the chef’s special sauce and topped with crispy dried shrimp and vegetable garnishes. In all, it's a light and refreshing appetiser. The chicken is first deep-fried and then cooked in a sauce with five condiments each bringing the five flavours of sour, spicy, sweet, salty and umami/savoury - quite a party right there. 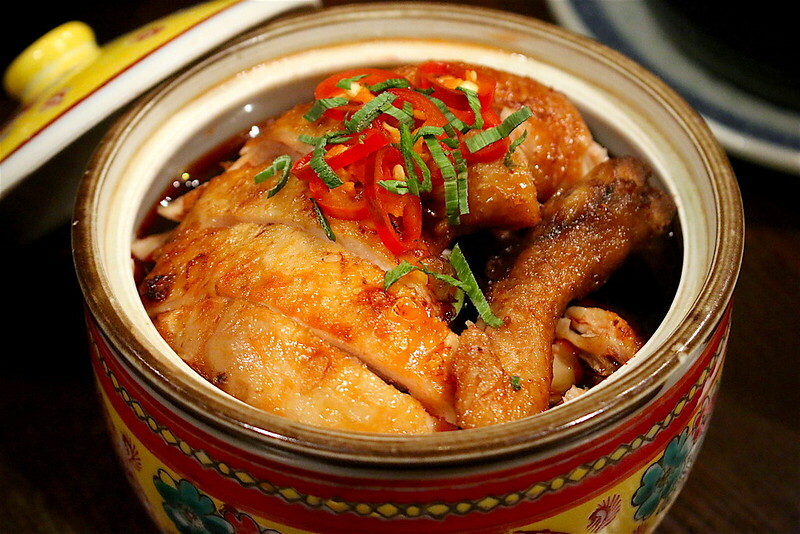 This royal chicken dish uses the spiciness of whole pickled chili pods to whet the appetite and highlight the sweetness of the meat. The intensity of this dish means it should go well with rice. 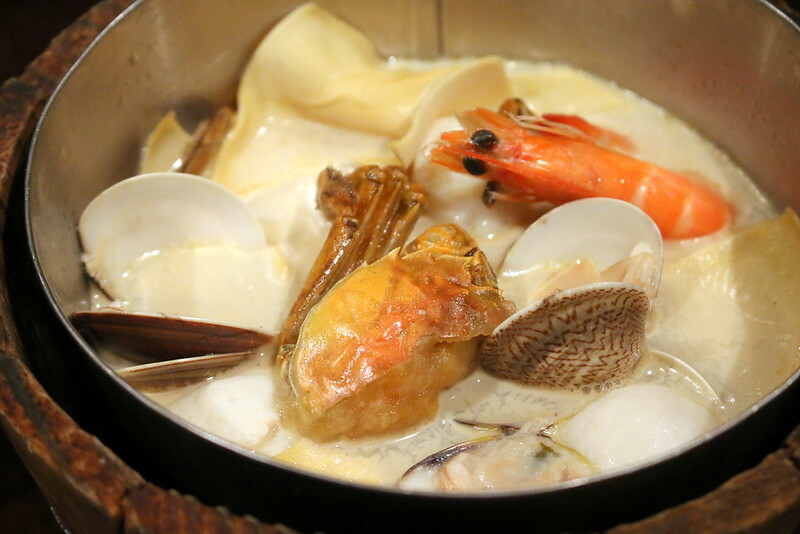 This is the ultimate seafood bucket, with fish, shrimps, crabs and clams stewed in a milky-white fish broth. Hours of boiling has resulted in an incredibly opaque and comforting stock. Don't let its plain and pale appearance fool you. For many of us, this was our favourite dish hands-down. We can't believe it's less than S$20...we are so coming back for this! 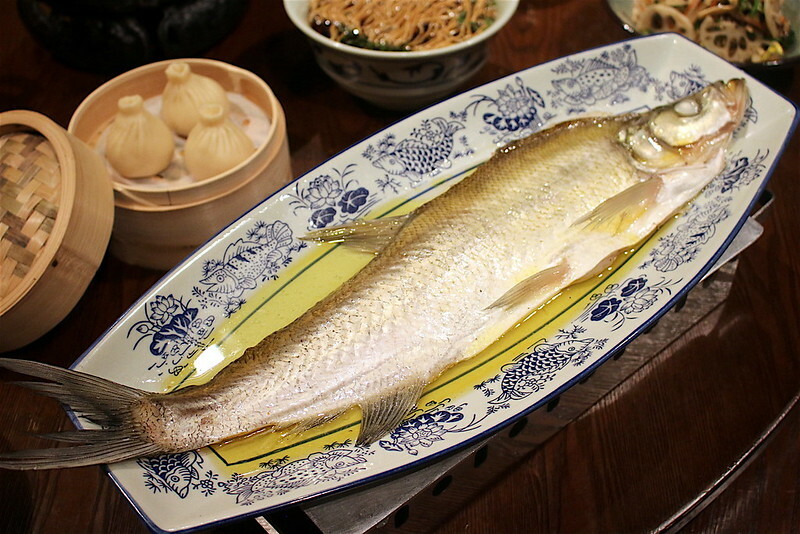 The fish is steamed in supreme chicken stock, resulting in a gently-flavoured dish typical of Jiangnan cuisine. The fish is tender and sweet and while it's given a final hot oil treatment, it doesn't taste oily at all. The restaurants in China use Yangtze white fish but it's not feasible to ship that here, so we will get Patin fish instead. 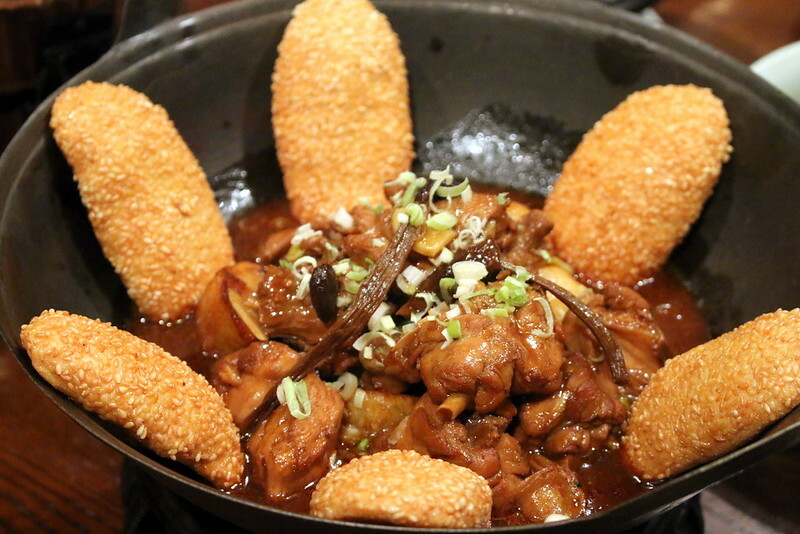 Premium chicken is stewed in a special sauce and served with hot handmade crispy sesame cake - really fun to dip and eat. It's a a perfect match of carb and protein, and a contrast in textures and tastes. Now this dish really is remarkable at Nanjing Impressions. You know how lion's head is often a giant meatball that's too dry and chewy? This one is softer than a baby's bottom! Not that you'd want to bite a baby's bum but gosh, this really was meltingly tender. Here they select quality pork rib meat, manually chop it for texture and gently steam the meatball so it retains shape and flavour. It's a showcase of fine knife work and Nanjing's delicate cuisine style. The sponge gourd resembles the jade belt in shape. The highlight is the abundance of fragrant grilled garlic, but this unassuming dish got a little overshadowed by the other more striking dishes. Still, you need your vegetables! I am hoping they have more vegetable dishes in the Singapore menu. 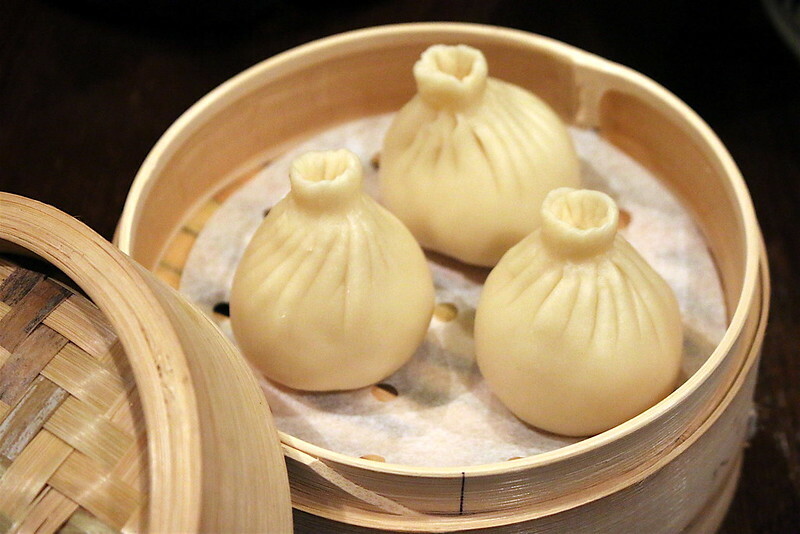 This is a soup dumpling that stands out with its generous filling of 70% shredded roast duck (belly, thigh and skin) and 30% minced pork encased in a dumpling skin with 23 folds. 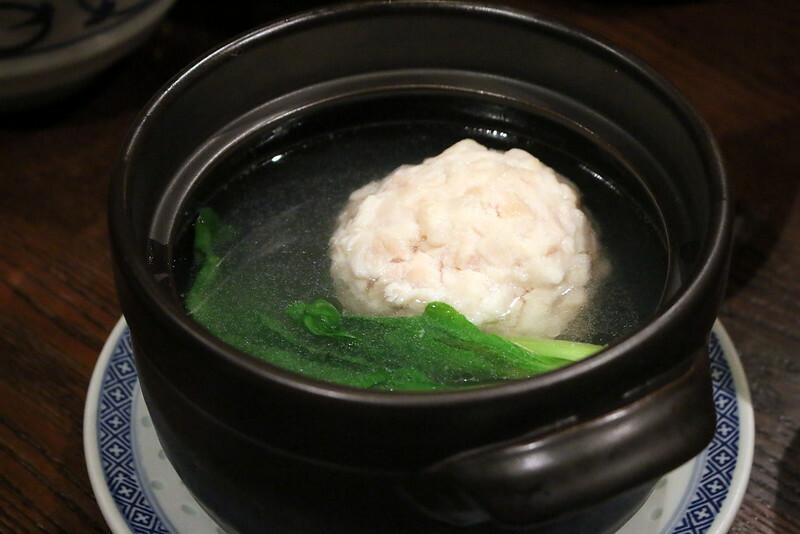 It definitely has more character than your usual xiao long bao. Apparently this is an ancient recipe that is a time-tested favorite. 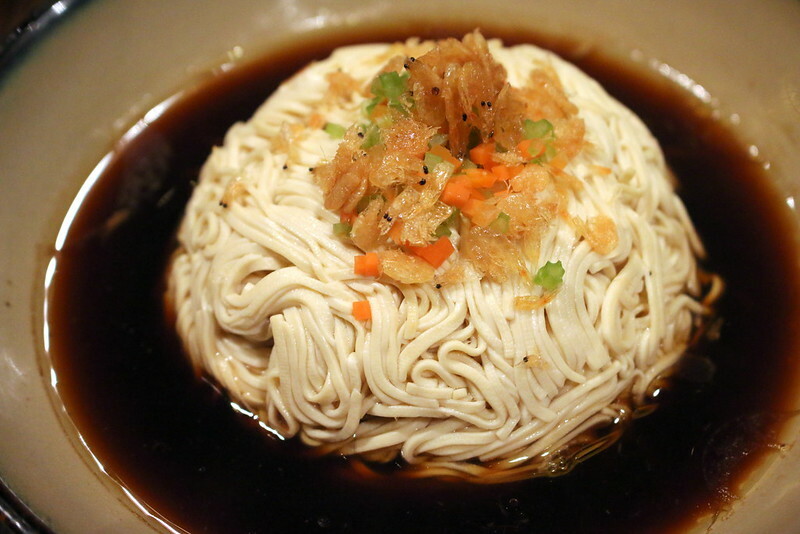 The delicately handmade noodles are served in a soy-flavored broth with refreshing clean, clear flavors. 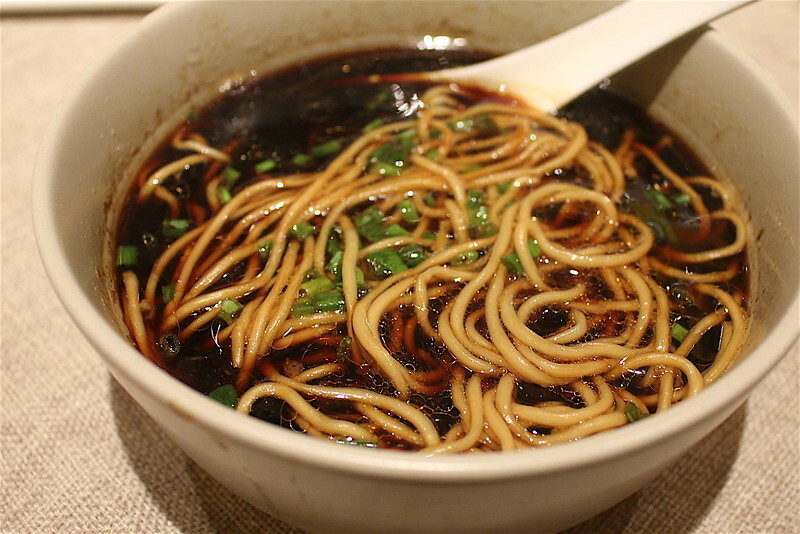 It's like noodles in an extremely savoury duck broth -- super addictive. We had this practically every day in Nanjing and never got sick of it. Home-made traditional Nanjing steamed cake topped with an osmanthus glaze - these have a gummy, chewy texture and a gentle floral fragrance. I prefer to save my calories for more of the savoury stuff though. 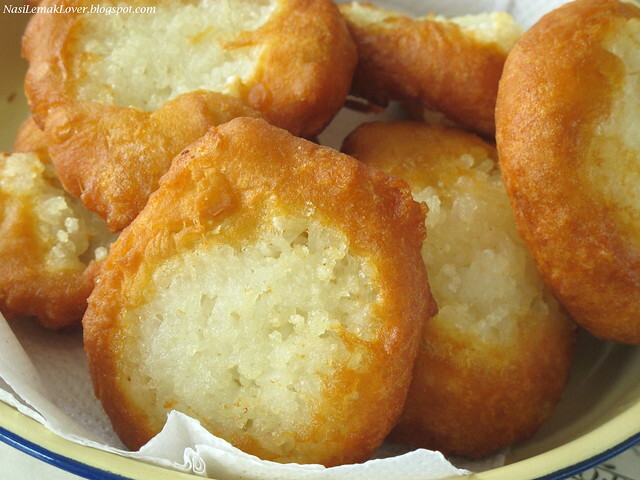 Home-made glutinous rice balls from a traditional recipe are served warm in a brown sugar potion. This also has flecks of osmanthus in it, giving it a subtle fragrance. Nanjing Impressions is also famed for its liquors. 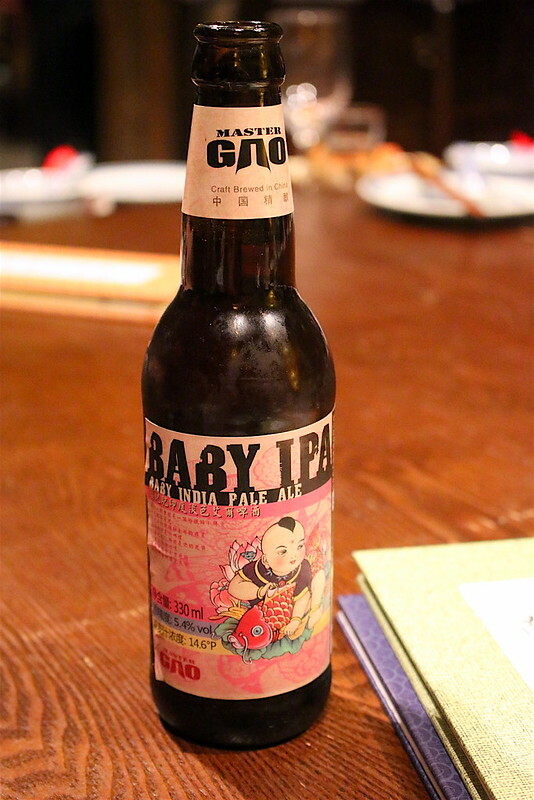 Sadly some of these traditional Chinese wines cannot be brought in, but they might be introducing some of their own craft beers like this Baby Ipa India pale ale. 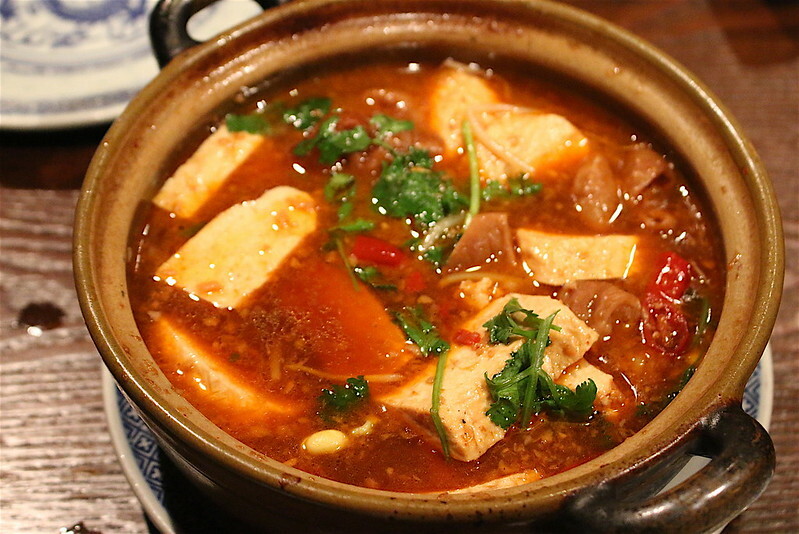 I just want to show you one of Nanjing's signature dishes which you should try if you are ever there. 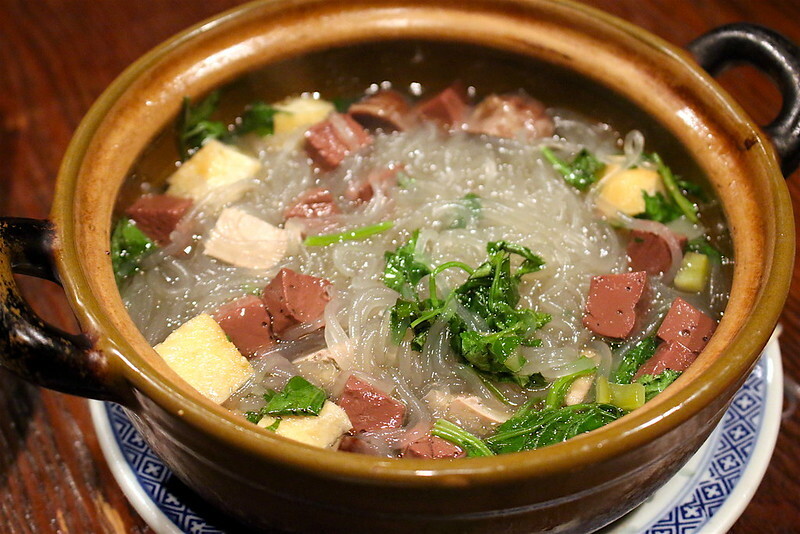 The Duck's Blood and Vermicelli Soup (鸭血粉丝) is pretty good at Nanjing Impressions. Obviously this dish is not making it to Singapore's outlet, because all blood products are banned here. Even though duck's blood is a bit of a fear factor food for me, I have to say Nanjing Impressions' version is quite moreish. The other dish that's not making it here is the Stewed Pig's Intestines with Stinky Beancurd. Oh I love this one. The beancurd is not overpowering, the piggy innards are well-cleaned and the spicy soup is just perfect. They make their own smelly beancurd but it would be hard to replicate here. Well, somehow I hope they can reconsider or make this dish happen here! 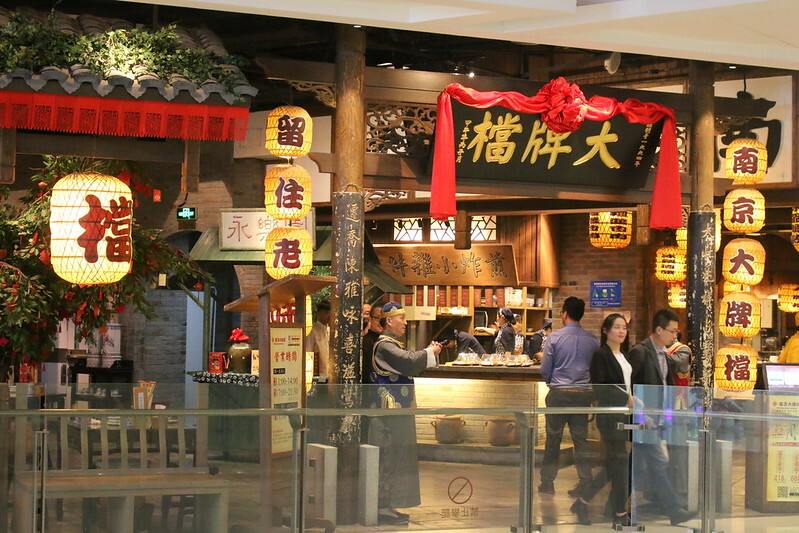 Nanjing Impressions is opening mid-December at Plaza Singapura, where Chef Wan's 1 Market and Watson's used to be. The chefs and wait staff have been all been trained at the Nanjing headquarters. The dishes above were all cooked by the Singapore staff. Thumbs up for effort at recreating the authentic tastes. Of course, some of it will be modified for the local palate, but it will still be an interesting dining option for those who want a change from the usual Cantonese fare. I will be visiting the Plaza Singapura outlet when it opens and bring you a more updated report! Many thanks to the Nanjing Impressions and the Dahui Group for the media familiarisation trip to Nanjing and the warm hospitality!